I’ve been telling my readers about the emergence of poop and fart toys in PopCult for some time now. This unexpected, but hilarious, development has not subsided, and at Toy Fair last month dozens of companies were showing off scatalogically-inspired playthings for the young and easily-amused, and for the young and easily-amused at heart. Today we’re going to look at one of the more clever toys in this new genre, Fart Ninjas. Made by Funrise, the folks who currently produce Tonka Trucks, Fart Ninjas are little figures, trained in the art of espionage, ‘gassassination’ and skilled in ‘martial farts’, the collectible Fart Ninjas figures have electronic fart sounds that surprise and gross out unsuspecting individuals when they least expect it! Fart Ninjas will launch this Fall at major retailers around the world with two main assortments. 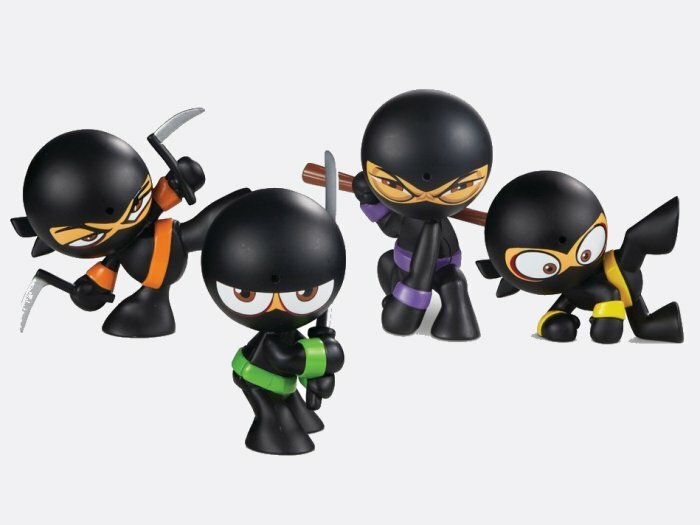 FART NINJAS Series 1 is a collection of 8 different figures, each with 10 realistic fart sounds activated by a motion sensor. 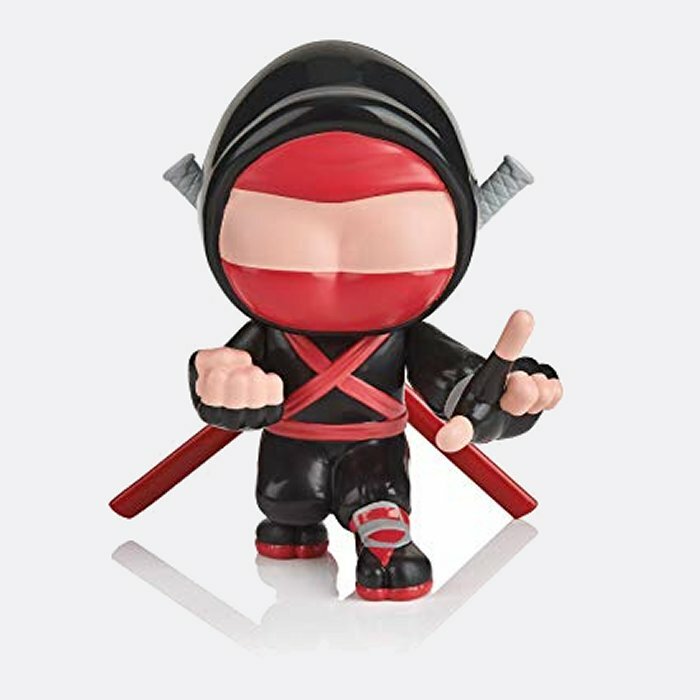 FART NINJAS XL Series 1are larger scale, 5″ figures styled in Fart Ninjas armor and come with a ninja start remote control allowing kids to “fart on demand” with the push of a button. 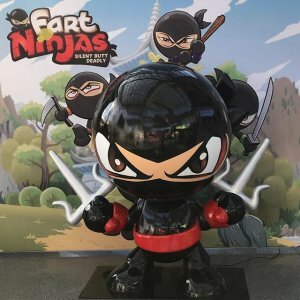 And FART NINJAS XL figures allow kids to record their own fart sounds and surprise their friends with a fart attack when they least expect it! Each figure also includes a ‘martial farts’ accessory. A free to download app is also available with fun, fart-filled features like a Fart Ninjas photo booth. Please note: These are not to be confused with Buttheads (seen below). That’s a totally different farting ninja toy figure, made by Wowwee. The two toys have nothing in common with one another, except perhaps for the whole “ninja figure that makes electronic farting sounds” thing. PopCult Note: Your PopCulteer has returned from his annual trip to ToyLanta, and promises that tomorrow we will have a post or two that have nothing to do with toys.